I have been fortunate enough to celebrate La Fête Nationale Francaise – Le Quatorze Juillet, a holiday marking the anniversary of the fall on July 14, 1789 of the Bastille, in Paris on a number of occasions. 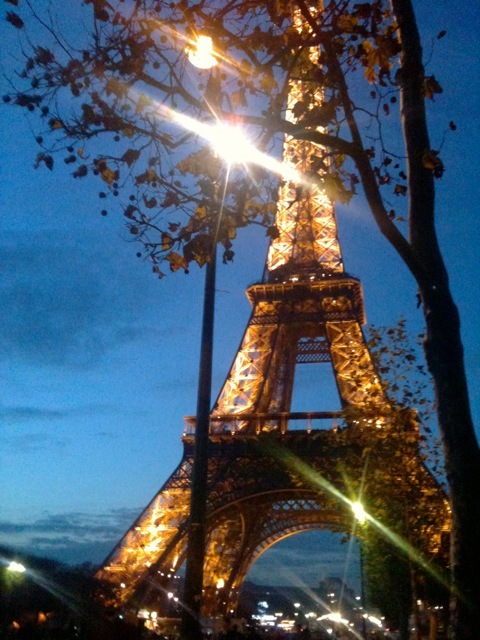 As readers of this blog know, I was a Francophile in my early life and majored in French in college. My father has always been somewhat obsessed with France and the lifestyle and food so it is a natural for me to think of today as a celebration. 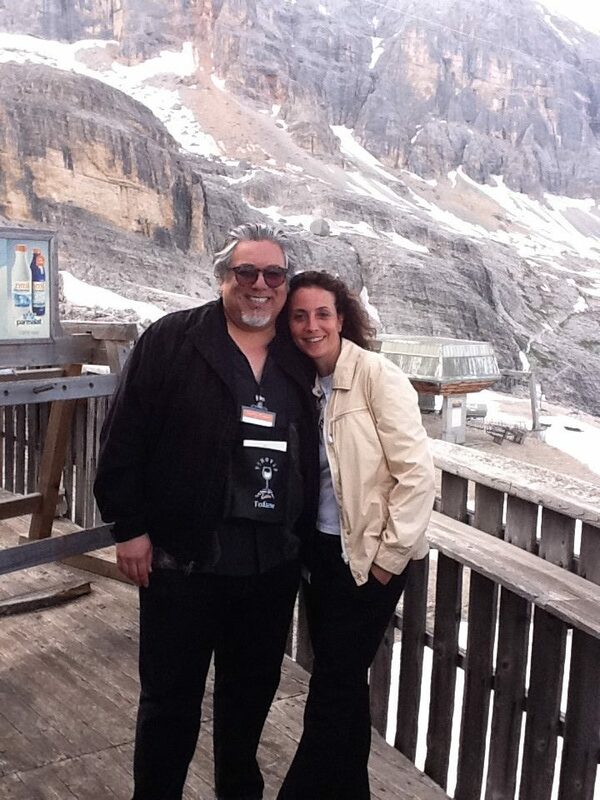 This year I am having a quiet holiday but last year was a real kick as I toasted with a marvelous champagne called Pierre Peters on a mountain top at 1,778 meters in Cortina, Italy as part of VinoVip 2013. Charlie and I were both part of that lovely event. 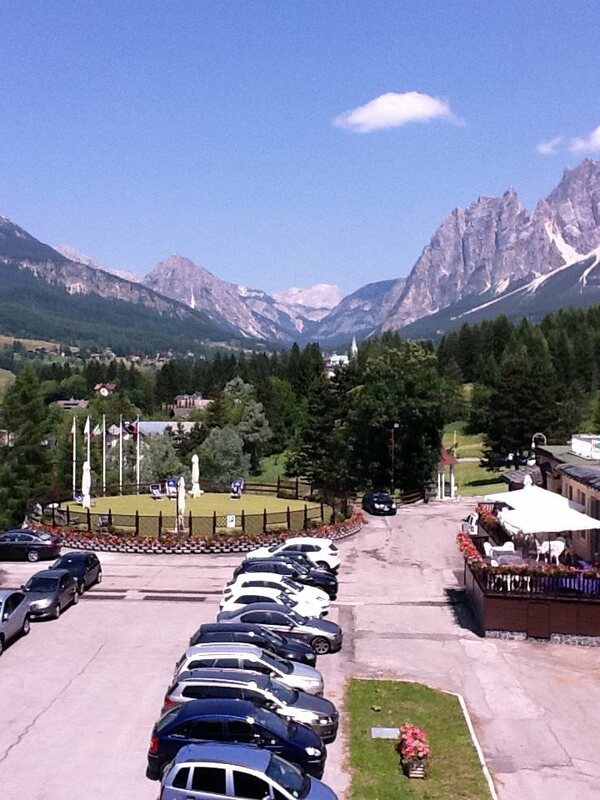 It was the first time I attended this incredible event or visited Cortina and I certainly hope it won’t be the last. VinoVip takes place every two years and Civilta del Bere and it’s publisher, Alessandro Torcoli, really put on a good show. We toasted with the Cuvee Extra Brut Blanc de Blancs – Grand Cru. They have just over 18 hectares of vines,located in the area of the “Côte des Blancs” and more specifically in the villages of Mesnil sur Oger, Oger, Cramant and Avize. Just a bit south of Epernay, the soils are chalky while the vineyards face east as protection from westerly winds. They only produce the Extra Brut in certain years but it is not marked on the label. 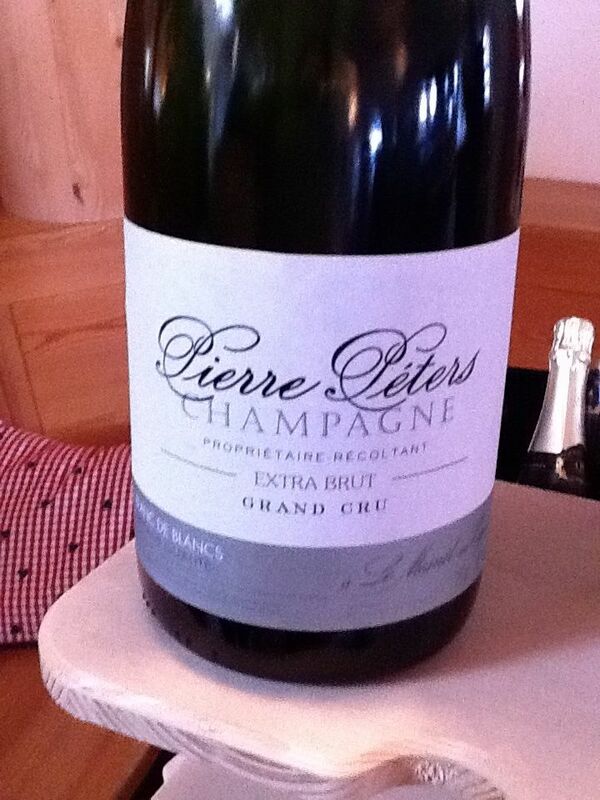 I thought this was a lovely Champagne with white fruit and floral aromas as well as almonds and bread crust. On the finish, its all about minerality and finesse. A very elegant wine, I would snap up a couple of bottles whenever I see them. I missed posting yesterday but if I post twice today, that counts as posting everyday I think. Many a Bastille day celebration over the years and a fantastic one when I was young in Paris at the Hilton looking out at the fireworks. Very exciting. This year I will be in New York, toasting perhaps with a Cremant.